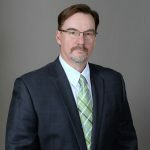 Ask The Expert: Key Considerations for Advanced Therapies Manufacturing | FUJIFILM Diosynth Biotechnologies U.S.A., Inc. This technical webinar will go over key considerations to support manufacturing activities from the earliest stages of cell line, viral replication platforms and/or viral vectors identification stage leading into clinical production. Having a line of sight into commercial production and the requirements leading into commercial approval are also essential for success. We invite you to join Thomas Page, PhD for this 15 minute on demand webcasts.